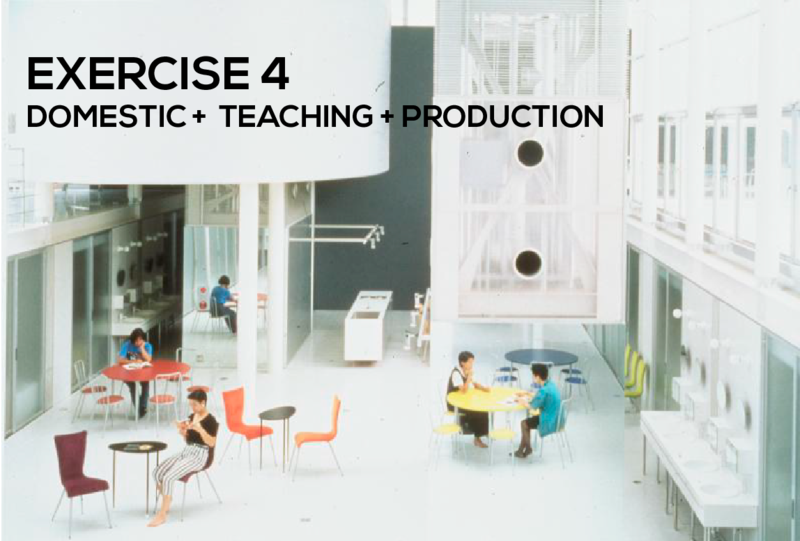 In our fourth and last studio exercise, we will explore further expanded kinds of domesticity. The new project will be a transformation and development of the existing one. Do not start from scratch. Follow the logics and ideas contained in your project, using them as the seed for the next exercise. – Domestic space. The core of the project is the same, a living space for an elderly (or future elderly) client. Such domestic space will be transformed during the elaboration of this exercise. – Intergenerational teaching. One of the additional cores of the project will be the transmission of certain knowledges (proper to the client’s profession or activities) towards new generations. New spaces for guests will be needed, maybe for short visits (from two days to one week), also new spaces for this special kind of teaching. – Production. Our client’s current or past activity will find new spaces. This is a space for the present and future profit of the client’s heirs. Shops, orchards, art spaces, etc. will be not only a source of healthy activity for our client but also a means for a living. Domestic, Teaching and Production spaces will form a kind of hybrid building that should occupy a minimum 500sqm of surface program. It is recommended to keep the existing location.